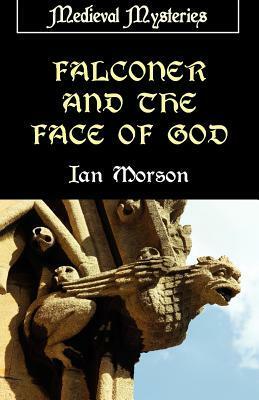 Falconer and the Face of God by Ian Morson, St Martin’s – Dead Letter 1997 paperback, historical mystery, Oxford Regent Master William Falconer, #3 in series. This is the third in Morson’s series of historical mysteries featuring Oxford Regent Master William Falconer. After reading the first in the series three years ago, I seem to have missed the second. As far as I can tell however these are stand-alone novels so skipping one matters little. In this one it is Christmastide in Oxford, and a band of players has come to town to perform morality plays. The leader of the troupe, Stefano de Askeles has managed to alienate nearly everyone he comes in contact with right down to the troupe’s trained monkey. Before the band of actors even arrives in Oxford there has been an “accidental” murder, and another occurs soon after rehearsals begin. It looks like there will be a third unless Falconer can discover the truths behind the many lies he is told as he interviews the members of the troupe and other possible suspects. Morson does a very good job of bringing medieval Oxford to life, and a squalid depressing place it is, but for me it’s the character of Falconer that makes these novels work in that depressing setting. I remember thinking when I read the first in the series that it started a little slow but by the end I was caught up in the story. The same is true here, and the historical background adds interest. One thing I didn’t like was the small print size, at least a couple of points less than the usual mass market paperback. This made it slightly difficult to read. I see no reason for this as the novel was 192 pages in this format and a normal size wouldn’t have added that much more to this $5.99 (at the time of publication) book. This entry was posted in Friday Forgotten Books, Mystery. Bookmark the permalink. Sounds interesting. I haven’t come across this series. I’ll have to check the local library. Many thanks for the info! John, it’s a good series if you don’t mind the slow starts in the books. I like this sort of thing as a break from other crime fiction and SFF. I remember picking up at least a couple of these secondhand in England back in my book selling days but I never did read one. It isn’t really my favorite period for historical mysteries. Jeff that’s one of the things that drew me to it, the different period. I imagine that it’s hard for us moderns to even imagine the squalor. Exactly. It’s eye-opening to be reminded of conditions in earlier times. Seems that could work for you in some of your books. I have a fondness for medieval mysteries so of course I’m interested in Ian Morison’s series. I’ll have to track down some copies. George, you might enjoy this series. Yes, current standards are for me too, one of the reasons we 21 century humans live longer, along with the medical-pharmaceutical complex (todays version of the famed military-industrial complex of the 70s). This series is new to me to. I don’t normally go back that far in historical mysteries, but I have been planning to branch out in that area. I will look out for this series. As said, Tracy, these do start a bit of a slow start, but the characters are quite interesting. I don’t go back quite this far usually either, but I came across a couple of these and did enjoy them.